Experience: Maserati Quattroporte Executive GT. One of the Most Luxurious Maseratis. The Maserati Quattroporte Executive GT is a car that comes with some of the most fascinating touches and details of any car in this price range. Maserati’s flagship sedan is powered by a Ferrari-engineered 4.7 liter 425hp V8 engine. The Quattroporte was launched in 1963, a year after His Highness Prince Karim Aga Khan IV —magnate, racehorse breeder and current 49th Imam of Nizari Ismailism— ordered a special Maserati 5000 WP, chassis no. 103,060 designed by Pietro Frua —the famous Maserati, Glas and Renault car designer. The Executive GT version of the Quattroporte was introduced at the North American International Auto Show in January 2006. It is based on a special Neiman-Marcus version with 19-inch ball-polished wheels and an 'Alcantara' suede interior roof lining. Other features include chrome side and front grilles and a wood-trimmed steering wheel. Included as standard equipment with the Executive GT version is a Maserati comfort pack with ventilated, heating, massaging rear seats, retractable wood rear tables, and curtain shades on the rear windows. Unfortunately, the Executive GT is no longer on the Quattroporte line-up. In 2004, Maserati started production of the Pininfarina-designed Quattroporte and it is a continuation of the long tradition of Quattroporte luxury saloons in the Maserati line-up. As you can appreciate in the images, the attention to detail is unparalleled and the finishes on the interior of this vehicle are significantly better than those on other Quattroportes. For those of you that own a Maserati or have ridden in one, you clearly know what we are talking about. As soon as you open the doors of a Maserati Quattroporte, you can smell the distinctive Poltrona Frau leather that is used to cover its comfortable seats. Fitted with paddle shifters on the steering wheel just like a Ferrari, the transmission on this car is smooth and powerful with every gear change. The clock on its wood dashboard is an unmistakeable element in the design of its interior with superb craftsmanship that surrounds you with sporty elegance. As with most Maseratis, this is a temperamental car that is made for those that like the finer things in life and won't worry about having cranking issues when getting ready to leave the garage to take it on a joy ride. The new generation of Maseratis is now designed at a special Maserati-only department within the Fiat Group Centro Stile design center under the guidance of ex-Pininfarina designer Lorenzo Ramaciotti. Time to get one. Pre-owned Sticker Price $60,000-80,000 USD. 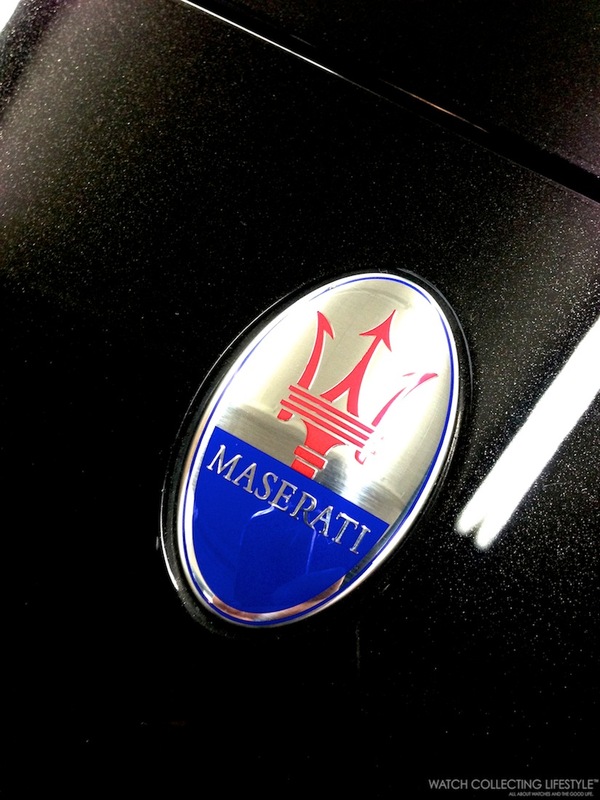 For more info on Maserati click here. Posted on September 8, 2013 by Editor & Publisher and filed under Automobiles and tagged Maserati Quattroporte Executive GT Pietro Frua Prince Karim Aga Khan IV Poltrona Frau.